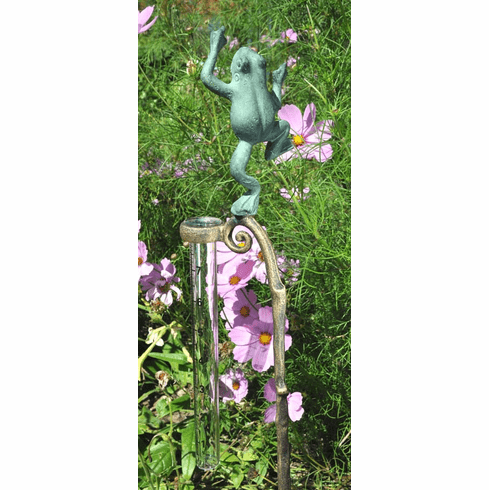 Frog Rain Gauge Garden Stake - A charming accent for your yard and it's functional too! The stake is modeled after a natural stick and the verdigris finished frog dances merrily on top. Cast Aluminum with replaceable glass tube, measures 28-1/2" in height.